Oppo Reno will be announced on April 10 and it will have the 10x periscope camera, demoed at MWC 2019. The company released a promo video of how the phone was created and we can see it will indeed have huge zoom, impressive display with punchy colors, and a Snapdragon chipset. Check it out yourself. We expect to see the Oppo Reno in two versions, but there might be even three - one with 5G and Snapdragon 855, another with only the flagship Qualcomm chipset, and a third, more affordable option with Snapdragon 710. 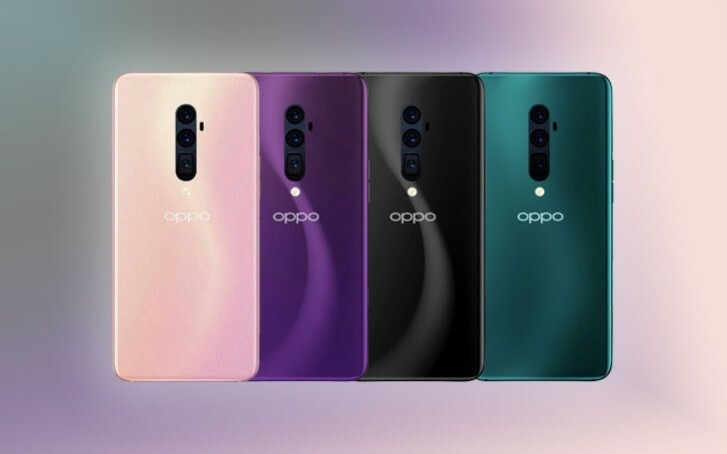 The front panel has no holes, according to the Oppo VP, so it is either a rising mechanism like the Find X or just a periscope selfie shooter like the F11 Pro. Other rumored specs include 48 MP main camera, coupled with an ultra-wide shooter, 8 or 10 GB RAM and up to 256 GB storage. The 5G variant will have 12 GB RAM and we expect a huge 5,000 mAh battery to power the phone. There are even rumors for a Lamborghini Edition with 512 GB UFS 3.0 storage, because why not. I like the battery. Hit that 10+ hours SOT!